Jewish Tucson Calendar & NewsFlash continues a long and strong tradition of supporting active engagement in our exciting and lively Jewish community. As always, we’re grateful for our partnership with each agency, synagogue, and organization that contributes to our richness and diversity. We encourage all those who are holding events with Jewish content and connections to submit them to the website calendar. 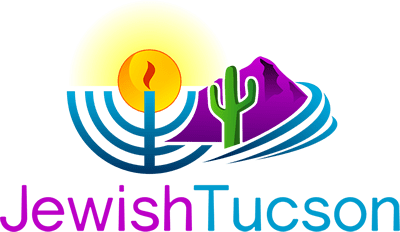 Each Thursday Jewish Tucson Newsflash will feature community events from our synagogues, agencies or organizations that that will take place over the next week to ten days. The events will link to the calendar on www.jewishtucson.org/calendar website page. The Jewish Tucson Newsflash will be published weekly on Thursdays from August through May of each year. On June 6, 2019, the Newsflash will publish an edition for the entire month of June. On July 4, 2019, the Newsflash will publish an edition for the entire month of July. The Newsflash will be distributed preferably by 9:00 am but certainly by the end of the workday on Thursdays. Holiday schedules are sometimes necessary. You will be notified in advance when we have 2-week editions. Each synagogue, agency or Jewish organization sponsoring an event may submit up to two (2) events that will take place over the following 7- 10 days from the Thursday of publication. On occasion, events may appear in two successive editions, but this is discouraged on a regular basis. Jewish Tucson Newsflash event submissions are due by Wednesday at noon to [email protected] and must be on the Jewish Tucson website calendar (www.jewishtucson.org/calendar) prior to inclusion. Events are listed in the Newsflash chronologically by date, then time, and if more than one event is at the same time they are listed alphabetically by synagogue, agency or organization, etc. Events must currently be posted on the Jewish Tucson Community Calendar and will link from the newsletter to the event on the community calendar (www.jewishtucson.org/calendar). Email your event(s) with name, date and time in response to the reminder email sent on Mondays. Include contact information for the submitter in case there are any questions. Descriptions on the Jewish Tucson calendar will serve as a “teaser” for the link to the event on the Jewish Tucson Newsflash. Choose your words with care. Regularly scheduled classes will only list the first class of the series. 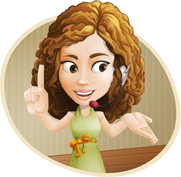 Regularly scheduled services will not be listed however, unique ones may be listed, such as ones with a particular theme, special topic or speaker, etc. Photos will be used that are already posted on the Jewish Tucson website calendar. Submissions without the above-listed criteria will not be included. Jewish Tucson staff makes all final decisions about what content will be included on the calendar or in the newsletter. The staff may edit or change submissions before including them. Jewish Tucson Newsflash is not responsible for inaccurate information, including but not limited to incorrect dates, times, and locations, posted on the calendar. The staff reserves the right to edit or decline event submissions to the calendar or the Jewish Tucson Newsflash.